Surname Weed, Gillette, and other related, ancestry and descendants, the Weed family, the Weed family tree, the surname Weed. Weed relatives. Weed kin, England and America. Above is an artist's rendering of the coat of arms of one specific Weed family. At houseofnames.com we found the statement that "I Believe" was the motto on this coat of arms. Well, apparently my Weeds descend from THOMAS WEED, who was born in 1549 in Northampton, England, and who died 1581 in Stanwick, Northampton, England. I say "apparently" because my own genealogical research, which I can vouch for (meaning with census records and other documentation), only went back to NATHANIEL WEED in Ohio in 1840. The line earlier than that (between 1549-1840) was obtained in 2005 from a family tree on familysearch.org (LDS), and I have not yet had time to substantiate it. Thomas Weed, who was born 1549 in Northampton, England, and who died 1581 in Stanwick, Northampton, England. His son was Jonas Weed b1575 in Stanwick, Northampton, England. Jonas' son was Jonas Weed b 1606/1607 Stanwick, Northampton, Eng. Died 7 Nov 1676, Stamford, Fairfield, CT. This Jonas' son was John Weed b 1643 m Joanna WESTCOTT b abt 1638 Wethersfield, CT.
John's son was John Weed b 1673, m Mary Beamon who was b 1681 Derby. John & Mary had Samuel Weed who m Sarah Richardson. Samuel & Sarah had Reuben Weed who m Martha. Reuben & Martha had Nathaniel Weed who m Elizabeth. Nathaniel & Elizabeth had Andrew Weed who married Nancy Pressly. * As I stated, the info on the last two generations listed above (Nathaniel & Samuel), is information I already had documented. To the above Andrew Weed (husband to Nancy Pressly) it gives the middle name of Reuben. Andrew Reuben Weed. It differs with Sue's LDS birthdate for him of 1790, and instead gives 1782. But it agrees it was in Abbieville District, South Carolina, and agrees with his death date and that it was in Preeble Co, Ohio. Nathaniel Weed (husband to Jane Turner), as will be seen, was born in 1815 or 1816 in Ohio. Sue also answered one of my online posts and said that LDS has Nathaniel's birth, 23 Jan 1816 , Preble, Ohio. The 1840 Census in Indiana, has Nathaniel Weed in Centre Township, Rush County. This is central Indiana. He is listed as at least 20 and under 30. In his household is a female listed as at least 20 and under 30. Note, this indicates he is married by the summer of 1840 to Jane Turner. Interestingly, on the same Census page is a neighbor, James Turner and family. Presumably this is the family that Jane Turner came from. I have a copy of that Census page. In harmony with that, Sue said LDS has Nathaniel's marriage to Jane Turner on 2 Jan 1838 in Rush County, Indiana. The Census on Aug. 30, 1850 has Nathaniel Weed and his family in Indiana, in Van Buren Township, Monroe County. Monroe County is about 3 counties over (southwest) from Rush County where Nathaniel was in 1840. It is still central Indiana. Note, 34 years before 1850 places his birth in Ohio around 1816. Jane (wife), Age 32, Birthplace South Carolina. James A. Weed, Age 8, Birthplace Ind., Attended school within the year. Samuel H. Weed, Age 6, Birthplace Ind., Attended school within the year. Martha Turner (Jane's mother), Age 70, Birthplace Ireland. Note, If as I assume from the 1840 Census info given above, Jane Turner's father was the aforementioned James Turner in Rush County, neighbor to the Weeds, and, in view of Jane having been born in South Carolina, my assumption is that James Turner brought his family to Indiana from South Carolina sometime after 1818. Nathaniel Weed's family is in the Census on June 19, 1860 in Indiana, in Marion Township, Boone County. The Post Office is given as at Northfield. Boone County is about 3 counties north from Monroe County where they were in 1850. It is still central Indiana. Head of Household, Nathaniel Weed, Farming, Value of Real Estate 3200, Value of Personal Estate, 426, Birthplace OHIO. Age 45. Note, 45 years before 1860 places his birth in OHIO around 1815. Jane (wife, housekeeper), Age 42, Birthplace South Carolina. James A. Weed, Age 18, Farming. Birthplace Indiana. Samuel Henry Weed, Age 16, Going to school. Birthplace INDIANA. Amanda J. Johnson, Age 11, Birthplace INDIANA. Attended school within the year. Sue also said that LDS has Nathaniel's death before Sep 1862 , Boone, INDIANA. 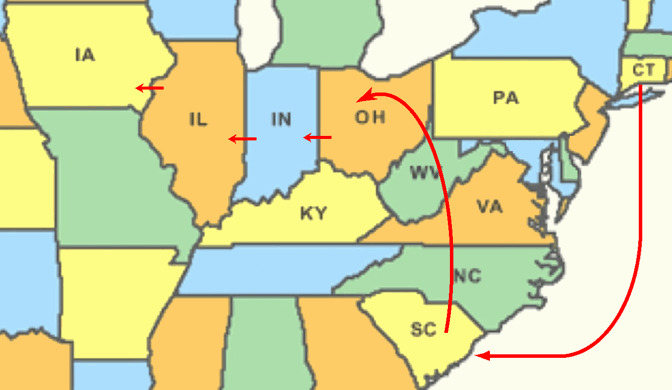 Real quick, here's how we got from Connecticut to Illinois & Iowa: Samuel Weed, born at Derby, New Haven, CT, died, 1756, CT. One of his children, Reuben Weed, died according to one source at Derby, New Haven, CT. Another source says at Abbeville, SC. One of his children, Nathaniel Weed, born in Newburgh, Orange, New York, died in Abbeville, SC. One of his children, Andrew REUBEN Weed, born 1790 in Abbeville, SC, died in Israel, Preble County, Ohio. One of his children, Nathaniel Weed, born in Israel, Preble County, Ohio, died in 1862 in Indiana. One of his children, Rev. Samuel H. Weed, born in Indiana in 1843, died 1927, Monmouth, Illinois. One of his children, Margaret Edith Weed, my grandmother, was born in Colona, Illinois 1885. Margaret Weed married Dr. Charles Lupton Gillette, whose home was in Des Moines, Iowa. Naturally both Des Moines IA, and Monmouth, IL across the state line were their life and family centers. The name of one of their four sons was Robert WEED Gillette. Samuel Henry Weed (Margaret's father and my great grandfather) was born in November 5, 1843 in INDIANA. Sue said that LDS has his birthplace "Near Knightstown, Henry county, Indiana." As we will see, Samuel will leave Indiana and end up living almost at the border between Illinois and Iowa. A note about the map of that area (see above) is in order: The town of Colona, INDIANA is near the IOWA border. Just across the state line is the city of Davenport, Iowa. In fact the road running into downtown Davenport from Colona is named Colona Road. Traffic and commerce flowed freely between Colona Illinois and Davenport Iowa. "Samuel Henry Weed was born November 5, 1843, in Ogdon, Henry County, Indiana. His present residence is in Colona, Henry County, Illinois. Educated at public schools of Monroe and Boone Counties, he earned degrees, A. B. and A. M. Occupation: He was in military service in 1864, a private of Company k., 133d Indiana Volunteers. A teacher for three winters. Studied Theology, 1865-1868. Pastor of United Presbyterian Church, in Colona from 1866 to 1879. A delegate five times to the United Presbyterian General Assembly. Mr. Weed secured the organization of the Colona United Presbyterian Congregation in 1867, and the building of the church in 1868, and also, of Pleasant Unity Church in 1869. Mr Weed has also served as Town Clerk, School Trustee and also Notary Public. By a disease of the lungs contracted while in the army, Mr. Weed for some years has been almost incapacitated from public speaking. Since laying down his charges, he has become a printer. He married Miss Mary Jane Davidson of Rock Island, Illinois." In 1910 a book was written titled the "Indiana University Register of Graduates - Illinois Residents 1830-1910" and printed in 1911. "By virtue of the State constitutions and the Acts of the General Assembly thereunder, Indiana University is the State University and is the head of the public school system of the State. The institution was founded by an Act of the State Legislature, approved January 20, 1820, establishing 'the State Seminary' at Bloomington, and appropriating to its use certain lands granted by Congress to the State for that purpose." It goes on to say that "by Act of February 15, 1838" it's name was changed to "the Indiana University ..." and "approved January 28, 1828, is hereby recognized as the University of the State." The following 1927 obituary info on Rev. Weed as well as info on some of his family, was published in the publication titled, D. D. Palmer's Lifeline, 2002/2003, "filename: DD's LIFELINE 04/05/15," Joseph C. Keating, Jr., Ph.D., Editor. It was also published as a repeat in Keating's publication, Chirobituaries, 2003/2004, "filename: Chirobituaries 04/05/16." Dr. Keating, perhaps the foremost historian on chiropractic medicine, published historical materials and obituaries of people historically associated with chiropractic, for the National Institute of Chiropractic Research in Phoenix, Arizona until his move from Arizona to Missouri in late 2006 or early 2007, and his subsequent passing, October 14, 2007 in Kansas City, MO. The Weed info was on pages 2 and 3 of the Chirobituaries edition just cited, and on pages 54 and 55 of D. D. Palmer's Lifeline. In both of these publications Dr. Keating reproduced the Weed obituary that was in the September, 1927 issue of The Chiropractor, the publication of the Palmer School of Davenport, Iowa, and, in the August, 1927 edition of the Hawkeye Chiropractor, which was edited in the 1920s by Dr. Thor H. Halsteen. Monmouth, Ill., Aug. 1 - Rev. S.H. Weed, A.B., A.M., B.D., who died here the past week at the age of 84, will be mourned by Chiropractors because it was he who suggested the name of "Chiropractic." While talking with the late Dr. D.D. Palmer of Davenport, who originated the new science, Rev. Weed suggested "Kiro" meaning done by hand, and "Prak-tik" meaning done skillfully. They are Greek words. So "Chiropractic," meaning "done skilfully by the hands," was adopted in 1895. Rev. Samuel H. Weed, 88 years of age, pioneer minister of the United Presbyterian church in this vicinity, later a pastor of churches in Rock Island and Henry counties for many years, died Thursday afternoon at 1:30 o'clock in his home at 912 East Second avenue, Monmouth. His health had been failing for the last several months, and his condition had begun to be critical Monday morning. Rev. Mr. Weed was born near Kirklin, Ind., Nov. 5, 1843, being the younger of the two sons of Nathaniel and Jane Turner Weed, and attended the schools at Northern Depot, Ind., later being graduated from Indiana university and Xenia Theological seminary, which at that time was located at Monmouth, Ill.
As a defender of his country, Mr. Weed started as a member of the "home guards," an organization of state militia, and participated in the chasing of Morgan, the famous raider, and later served in the Civil war in Company K, 133rd Indiana volunteer infantry, being mustered out at Bridgeport, Ala. His brother, James Andrew Weed, died of fever in an army hospital near the close of the war. Under appointment as a home missionary, Rev. Mr. Weed was assigned to the task of building up a congregation at Colona, and his work as a pioneer minister in western Illinois covered the pastorates of the Pleasant Unity church, which was located on the Woodburn homestead between Hillsdale ad Port Byron, and that of the Homestead United Presbyterian church, near Coal Valley, he having built the church at Colona and secured for it the large bell that is now in use in the Spencer Memorial Methodist church in Rock Island. His ordination to the ministry took place in the old United Presbyterian church, at that time located at Tenth and Scott Streets, Davenport. Before the church at Colona was erected, the services were conducted in Howard's hall, where the young "beardless boy preacher," as he was known by many, had living quarters, and also for several winters conducted a night school, giving a business course and vocal music training to many of the young people of the community who had been given only limited opportunities along these lines. the old melodeon which was first used for school and church purposes in the Colona hall is still in possession of the Weed family, and used by the grandchildren. July 14, 1869, Rev. Mr. Weed was married to Miss Mary Jane Davidson, the ceremony being performed by Rev. Henry Wallace, then pastor of the First United Presbyterian church in Rock Island. Miss Bella Cooke of Rock Island was in attendance at this wedding. Mrs. Weed made her home for five years with the late Hugh Warnock at 423 Second street, Rock Island. Some years ago Rev. Mr. Weed, who had been in failing health, became interested in Dr. D.D. Palmer, and, after giving the subject considerable thought, he suggested to Dr. Palmer the name chiropractic, and that word as coined by Mr. Weed has continued in use. Of the 11 children born to Rev. and Mrs. Weed, nine are now living. They include James A. Weed, 1047 Twelfth street, Rock Island; Mrs. A. Campbell Bailey, Moline; Miss Georgia C. Weed, at home in Monmouth; Miss Ethel L. Weed, of the United Presbyterian mission in Alexandria, Egypt; Mrs. Margaret Edith Gillette, who, with her husband, Dr. Charles Gillette, is in this country on furlough from the mission work at Pagodo Anchorage, near Foochow, China; Mrs. Theodore M. Millen, Monmouth; Robert Henry Weed, of Parma, Idaho; Mrs. Everett McCallister, Carmi, Ill., and Mrs. Carroll V. Day, Kansas City, Mo. The funeral arrangements have not been completed, awaiting word as to the arrival of Robert H. Weed from Parma, Idaho. Burial will be in the Monmouth cemetery in the family lot. - Rock Island Argus. End of material from The Chiropractor, the Hawkeye Chiropractor, D. D. Palmer's Lifeline, and Chirobituaries. As touched upon above, Samuel Henry Weed served in the Civil War as a private for 100 days in 1864. Co K 133rd Reg Indiana Inf., the Indiana Volunteers. We already know that Samuel was in Colona, Illinois, pastoring, by 1866. Samuel Henry Weed married Mary Jane Davidson in Rock Island County, Illinois on Jul 14, 1869. She was born in August 1847 in NY. Rock Island County borders Henry County. 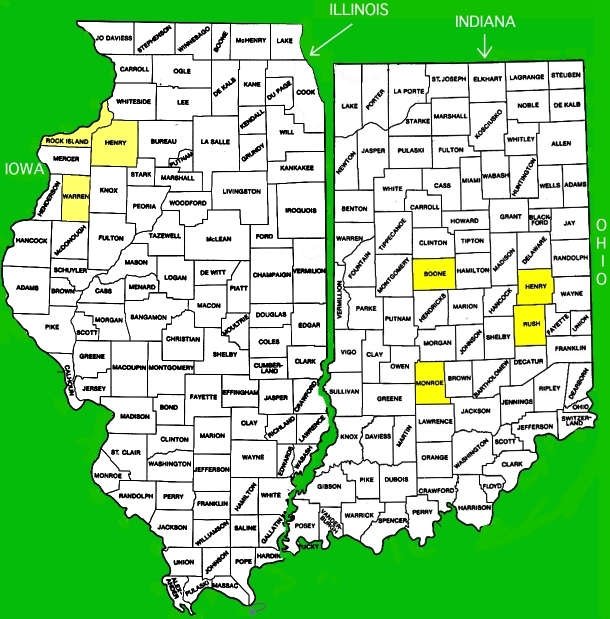 In fact in 1825 part of Rock Island County was in Henry County. More about it: This marriage record can be found at the County Court Records there, Film # 1428580 - 1428581. *A record gives "1885" for Margaret's birth, but her gravestone was given "1884." Samuel received a Civil War Pension for his service. He filed for invalid benefits in 1888? and Mary filed for widow's benefits in 1927. End of quote from Nancy. had genealogy info on a family named Becht. It speaks of Weed as the minister at Colona that married Frank Becht and Louisa A. Frey. "Frank Becht was the son of Anton Becht and Antonia Beck, born 1857 in Davenport, Iowa.Frank was 34 years of age when he was joined in marriage to Louisa A. Frey, age 25, on November 25, 1891, by Samuel H. Weed, Minister of the Gospel, in the Village of Colona, Illinois." Rev. Samuel H. Weed named the science of Chiropractic medicine. The founder of that practice, Dr. Palmer, and Samuel Weed, were acquaintances. Palmer was seeking an appropriate name for the new science, and he turned to Rev. Weed who was a scholar of the Greek and Hebrew languages. January 14, 1896 has been given in Chiropractic history as the date that Weed gave Palmer the newly coined Greek word chiro-practic. I have seen a story on a Chiropractic website saying that one of Rev. Weed's daughters had been wonderfully cured by Dr. Palmer's treatment, to the end that she was able to do away with crutches. But I was unable to find the source of the story. had census records, marriage records, probate records and etc. 3-136: 19 Aug. 1871, Marion Twp, Boon (sic) Co., Jennet Duncan commonly known as Jane Duncan, at present date of Marion Twp. Boon Co. IN, advanced in age; all to United Presbyterian Church (two individual $500 bequests and also residue). Appoint friend Andrew G. Weed of Marion Twp. Boon Co. IN executor. Wit. Samuel H. Weed, Mary T. Weed. Proved in Decatur Co. IN court 12 May 1882." Not to go off on another branch, but I only here point out this ANDREW G. WEED because of his obvious proximity to Rev. Samuel H. Weed in that reference. 8. ANDREW GRAY WEED, born 24 Sep 1822, Preeble, Ohio, Died before 16 Jul 1872, in Boone, Indiana. This is the "Andrew G. Weed of Marion Twp. Boon Co. IN" shown in the Duncan record. Of course child 3 there, Nathaniel, became the father of Rev. Samuel H. Weed. 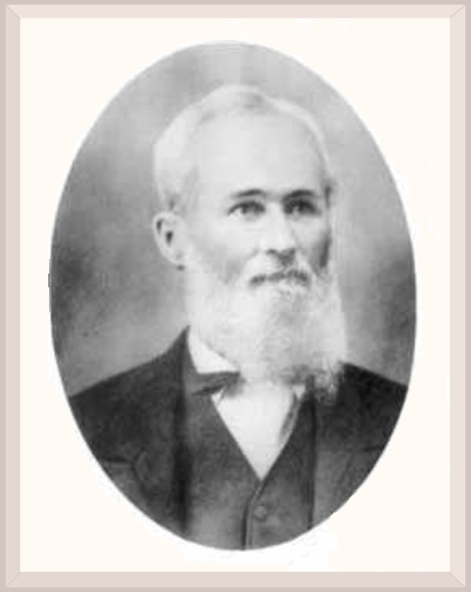 Therefore we see that Andrew G. Weed, mentioned in the Duncan record, is the uncle of Rev. Samuel H. Weed. Rev. Samuel H. Weed and his wife Mary were still present in Colona, Henry County, IL for the 1900 census, along with 8 daughters out of their 11 children. 1910 Census - Illinois, Warren Co., Monmouth Twp. 1920 Census - Illinois, Warren Co., Monmouth Twp. Above, we learned that after Samuel's death, Mary filed for widow's benefits. It would appear however that she died immediately after that. She died 20 days after Samuel did. I have his death as July 21st in 1927, and hers as August 10th. Sue said that LDS has the death of Samuel Henry Weed on 21 Jul 1927 Monmouth, , Illinois. "Samuel H. Weed d.7/21/1927 Warren Co."
Monmouth, as stated, is in Warren county, Illinois. As mentioned, Margaret Edith Weed was born in 1885. That was while her parents were living in Colona, Illinois, and they were all still in Colona in 1900, but had moved to Monmouth by 1910. Margaret Weed married Dr. Charles Lupton Gillette, who was born in Des Moines, Iowa. The parents of Charles were Phil. D. Gillette and Ella Maloney. Phil was from NY. Charles was affiliated with the Salvation Army in Des Moines, and with the Congregational Church. He was preparing to become a medical missionary to China. Of course Margaret was raised Presbyterian, and we have seen an article from several years later, that referred to the two of them as a couple, as "both of them Presbyterian missionaries." After coming up "Salvationist" and Congregationalist in Des Moines, he attended seminary at Cornell College, then still Methodist Episcopal (although not sectarian). However, from the family I have always had the impression that Charles identified basically as "Congregationalist." But he was also a very "inter-denominational" sort of Protestant, and I can see that he would have no problem coming under the Presbyterian label with Margaret. Most assuredly he had (Presbyterian) Rev. Weed's approval and permission for Margaret's hand in marriage. Perhaps the final "melding" factor was the consideration that, after all, they were headed for life and work among other missionaries in China, a melieu, itself, of inter-denominational cooperation. Click for info on Charles Gillette's ancestry. 1910 was the year that Charles first went to Fuzhou (Foo Chow) China where he would work for the next 35 years. In the 1910 Census Margaret was shown still in her parent's home in Monmouth, and employed as a public school teacher. Margaret & Charles married April 3, 1913, in Foochow, China. Besides information supplied directly to the webmaster by family (chiefly his father and uncle), some of our details on Margaret Weed and her marriage to Dr. Charles Gillette is supplied from the annual reports of missionary organizations. In example, The Missionary Herald which reports "the proceedings of the American Board of Commissioners for Foreign Missions," and similarly, reports simply titled Annual Report of the American Board of Commissioners for Foreign Missions, for the years pertinent. The April 1913 issue of The Missionary Herald contained an announcement concerning the yet unmarried Margaret. It stated, "Miss Margaret Weed is destined for the Foochow Mission, where she is to marry Dr. Charles Gillette, who left for that field last August ... ." It gives also some nice bio on her, but here we are primarily interested in the vital statistics. She had not yet in arrived in Foochow, China at the time the the article was written (which was likely in March), and was not yet married. Further, it tells us the place where they are to be married; Foochow. Next, in the July, 1913 issue it listed in Marriages, "April 3. At Foochow, China, Dr. Charles L. Gillette and Miss Margaret Weed." And, page 303 of the same issue had the statement that Dr. Charles Gillette "went to Foochow in 1912." 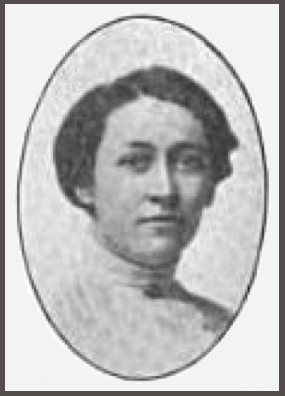 All combined, we have that Dr. Gillette went to Foochow in August, 1912, and that sometime probably about late March, 1913 the Herald writer said "Margaret Weed is destined for" Foochow (she was probably on the ship at the time of the writing), and, on April 3, 1913, at Foochow, they were married. And, some documents we have show Margaret as registered in 1913 with the Consulate in Foochow as an American citizen. Here I should insert a clarification of a seeming discrepancy: We have just read reference to Dr. Gillette going to Foochow in 1912. However, Dr. Gillette, while he yet lived, as well as all of his family, were quite clear on his having gone to Foochow in 1910, not 1912, and not ending his work there until 1945, and the whole span was always referred to as his "35 years in Foochow." The matter is easily understood: The "report" info we are reading is written through the lens of the missionary sending organization. Dr. Gillette was not officially appointed to his station and did not officially assume his duties until August, 1912. But he had first gone to Foochow "on his own dime" so to speak, two years prior, to "check out" the possibilities of serving there. My impression is that he went to Foochow at least two times "on his own," that is, he spent two years "getting all set up" there, establishing his house, preparing for Margaret to come over, and etc., before "going" finally under the auspices of the American Board of Commissioners for Foreign Missions. Margaret and Charles had 4 sons, all born in China; Edward Gillette born about 1915, Charles Gordon Gillette born about 1917, Robert Weed Gillette born Oct. 23, 1920, and R. Donald Gillette born in January 1922. We have in our possession the birth documents for two or three of them. I have not yet been able to accurately chronicle the dates of the back and forth travels of the various members of her immediate family between China and the U.S. I know that their official American address, or "base" was in Monmouth, Warren County, Illinois where both of Margaret's parents had lived until 1927. It may have been that very house. I know that the 4 sons of Charles & Margaret attended schools in China in their youth. But eventually all 6 of this family were in the U.S. and each lived the rest of their lives here. None were in China after 1945. Dr. Gillette's total "China years" spanned from 1910-1945. As mentioned above, Des Moines, Iowa was where Dr. Gillette was born, and where he lived in his youth. His mother and father are buried there, at Woodland Cemetery, in the family plot, as are numerous other kin. 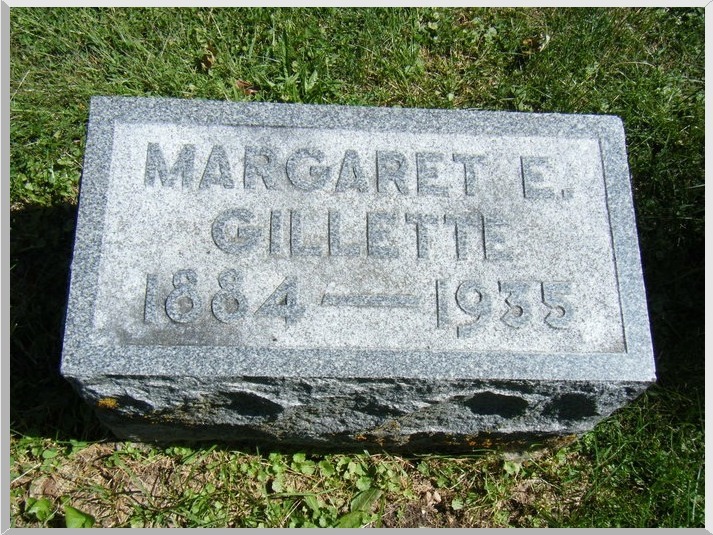 And that is where Dr. Gillette laid Margaret to rest when she passed in 1935. I was told separately by two of Margaret's sons that when she began to be ill in China, and was (if I recall correctly) diagnosed with cancer, Dr. Gillette brought her to "the Mayo Clinic" in the U. S. for treatment. I do not yet know if Margaret passed away at the Mayo Clinic, or whether perhaps she finished her days at her family home in Monmouth, in Warren County, Illinois, or, at Dr. Gillette's family home in Des Moines, but, as stated, Des Moines is where she was buried. Dr. Gillette then returned and served another ten years in China. After coming back to the U. S. in 1945, he continued medical missionary service, now with the Zuni Indians of New Mexico. Eventually Dr. Gillette was living in Pacific Palisades, California. Palisades is "a town of the City of Los Angeles." I have early childhood memories of visiting him at his home there, overlooking the ocean, and listening to stories of China. Close to Palisades is the community of Claremont. I do know that Dr. Gillette died in a nice Claremont care facility, with the family regularly visiting with him right up to his last day. As the reader doubtless already realizes, this is the family the webmaster came from. If you are related to this Weed & Gillette family, please get in touch.